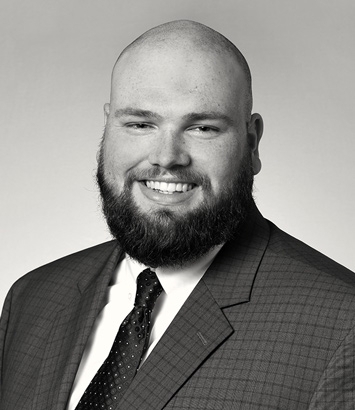 Nicholas Eadie is an intellectual property lawyer in Dinsmore's Cincinnati office. Nicholas focuses his practice on intellectual property law. He received his J.D. from The University at Buffalo School of Law, and he holds an M.S. and B.S. in Mechanical Engineering and a B.S. in Physics. His experience includes drafting patent applications, reporting letters and patentability opinions with respect to mechanical and electrical inventions, drafting responses to USPTO actions and managing personal dockets. He has also researched case law and prior art with respect to patent infringement suits, appeal briefs and freedom-to-operate opinions.